News posted by Matt on April 6, 2010 . Here’s a picture of Gavin and Tristan in the backyard on Easter morning. 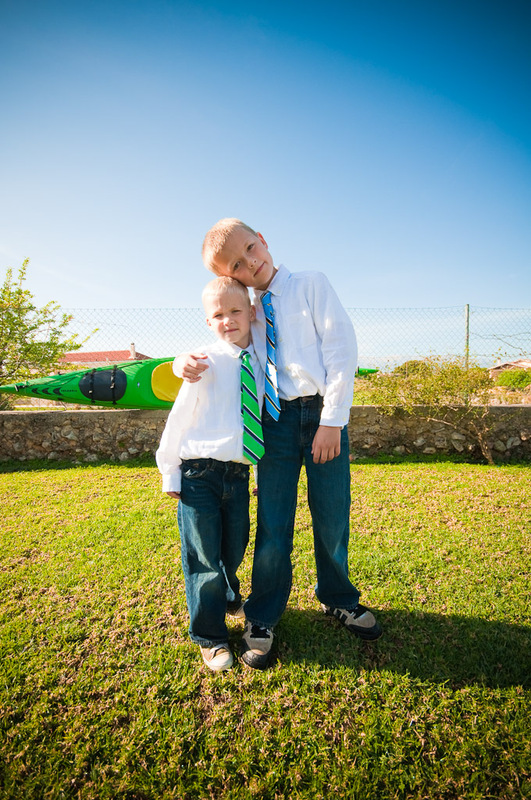 This was their first time in ties, and for some reason, they really enjoyed wearing them. Go figure!